As a way of honoring the great idol, I decided to restore a well-known picture of the young Giuseppe Meazza. Too bad I didn't get to see Meazza play. Il San Siro E Dell'inter Il Caso E Chiuso! Tifo Football gives us a nice video of the legend. 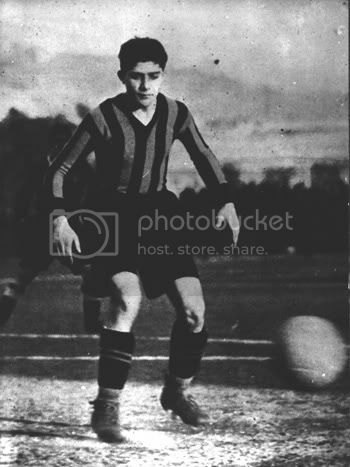 Titled Italy's greatest football player.